Nelson Mandela was a former President of South Africa, the first to be elected in fully representative democratic elections. He was born in Transkei, South Africa, in 1918. Before his presidency, Mandela was an anti-apartheid activist and leader of the African National Congress. In 1964, he was convicted of crimes including sabotage committed in the struggle against apartheid. He was imprisoned for 27 years at Robben Island prison and Pollsmoor prison. During his incarceration, his reputation as a potent symbol of resistance to apartheid grew steadily. Released from prison in 1990, Mandela received the Nobel Peace Prize in 1993 and was inaugurated as President of South Africa in 1994. He is the author of the internationally bestselling autobiography Long Walk to Freedom and Conversations with Myself, a collection of his personal papers. Mandela died in December 2013. 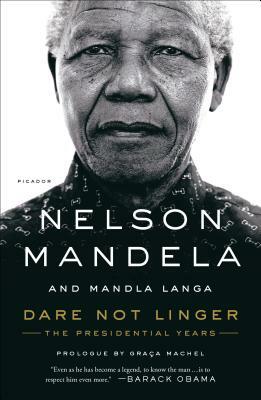 Mandla Langa was born in 1950 in Durban, South Africa. After being arrested in 1976, he went into exile and has lived in Botswana, Mozambique, and Angola, as well as Hungary, Zambia, and the United Kingdom, where he was the ANC’s Cultural Representative. A writer and journalist, he was the first South African to be awarded the Arts Council of Great Britain bursary for creative writing and has been a columnist for the Sunday Independent and the New Nation. He is also the author of several acclaimed novels, including The Lost Colours of the Chameleon, which won the 2009 Commonwealth Prize for Best Book in the African Region. Graça Machel is a Mozambican politician and humanitarian. She is the widow of former South African president Nelson Mandela and of Mozambican president Samora Machel.